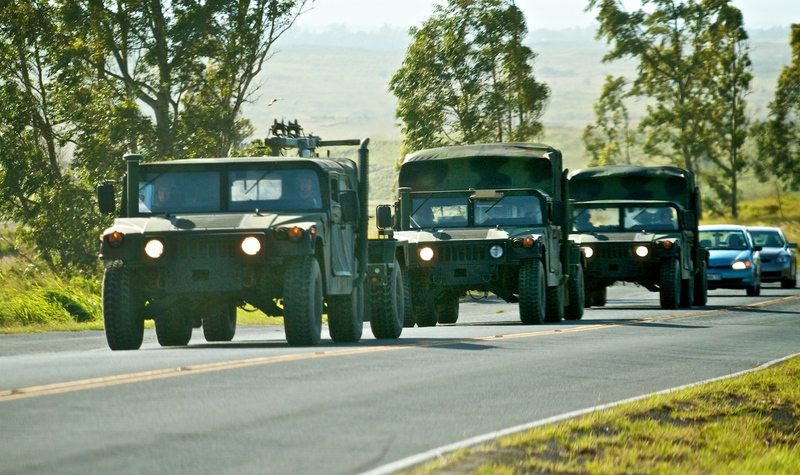 A local military unit will be convoying from Pōhakuloa Training Area to Keaukaha Military Reservation (Hilo), Wednesday, between 8 a.m. and 4 p.m. The convoys will use Hilo Airport Road, Kanoelehua Avenue (Highway 11), West Puainako Street, Komohana Avenue, Puainako Extension Route 2000 and Saddle Road Highway 200. Oahu-based military units will convoy from Kawaihae Harbor to Pōhakuloa Training Area on Dec. 2 between 8 a.m. and 4:30 p.m. via Kawaihae Road, Queen Kaahumanu Highway, Waikoloa Road, Mamalahoa Highway and Saddle Road. 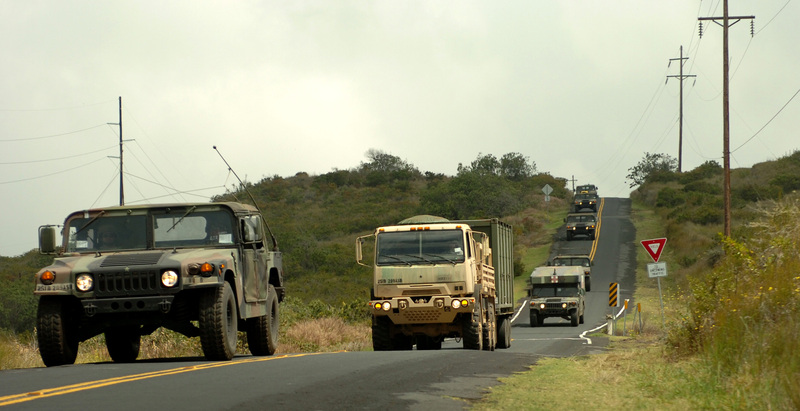 A Hilo-based military unit will convoy from Keaukaha Military Reserve (KMR) in Hilo to Pōhakuloa Training Area on Saturday Oct. 13 between 8 a.m. and noon. Military units will convoy from Kawaihae Harbor, K-Pier, to Pohakuloa Training Area, Wednesday Oct. 5, between 10 a.m. and noon, and Friday Oct. 7, between 8 a.m. and 10 a.m. and, also, from 2 p.m. to 4 p.m., via Akoni Pule Corridor, Queen Kaahumanu Highway, Waikoloa Road, Mamalahoa Highway and Saddle Road.